The frustrating part of all that pushing was my voice would simply say, “Enough is enough!” and shut down on me when I needed it most. I was the one who was reaping the wrath of my own vengeance, not my voice. It would simply take a mini-vacation away from me while I was forced to cancel engagements and make excuses because I had no voice. Sound familiar? Many a successful career has been stopped dead in its tracks by an uncontrolled voice kicking into low gear at the worst possible moment. 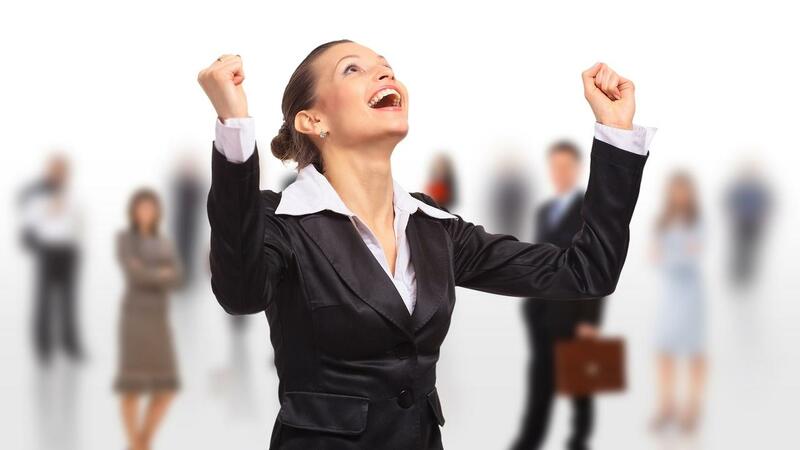 Anyone who has been there and done that will agree, even the brightest presentations pale when wrapped in a weak, unprofessional vocal delivery. As business professionals, whether we are in an office, classroom, courtroom, on a stage or a podium speaking, a good voice is vital if we want willing ears to hear our brilliant, “well-chosen” words and digest our information. To achieve that goal and communicate effectively with clients, and peers, there are some basic facts everyone should know about their voice. I’d like to share ten of my favorites with you now. Please drill these ten facts deep into your brain until they become part of your vocal belief system because the voice has no brain of its own and only believes what you believe! That is fact number one! Fact Number Two: Never whisper if you are losing your voice. The whispering effect will further damage the vocal cords. Use a pad and write notes if you have to communicate. Fact Number Three: Excessive heat and air-conditioning affect the voice by dehydrating the vocal cords. Turn them both OFF when you are sleeping, especially when traveling. Fact Number Four: If anyone tells you, “Voice rest alone will solve your vocal problems.”, don’t believe them! Vocal problems are caused by misuse and abuse of the vocal instrument. You can rest them, sure, but if you do not learn how to use your voice correctly, the problem will only return! Fact Number Five: If you catch a cold and have to use your voice, do not take decongestants. Their job is to dry up mucous no matter where it lives in the body. Your vocal cords are mucous membranes and need mucous to function correctly. If you dry it up, the voice will become rough and scratchy. Fact Number Six: Do not clear your throat with a vengeance. Excessive throat clearing is a habit. The more you try to clear it, the more mucous will be created to protect your vocal cords. It is a never-ending battle and you cannot win it. Try opening your mouth in a yawning position to relieve the pressure and move the larynx, (your "Adams Apple"), into a relaxed, yawning, lowered, position. Fact Number Seven: Never use cough drops with menthol if you are speaking or singing. The cooling factor in menthol will freeze the vocal cords. For optimum performance, you want your vocal cords warm and plumped, not cold and shrunk. Fact Number Nine: The vocal cords work like valves and need a strong supply of compressed air to perform their magic! Your voice is like lottery balls spinning on a pillar of air, if the air is not strong and steady supporting the balls, they will fall to the ground. If the air supply to your voice is not strong and steady, the voice will also fall causing major pitch problems. Fact Number Ten: The voice is also an acoustic instrument and needs open spaces to resonate in. For your spoken words and singing notes to be heard in the back of the room, your mouth must be a large OPEN resonating space! Whether speaking or singing, you and you alone are the master of your vocal instrument. Take the time to learn how to play it correctly, and your voice will be a delight to all who are there to hear you speak or sing. With proper voice technique and an understanding of how your voice is put together, Anyone can create a strong, pleasing voice to deliver their message to a waiting world. 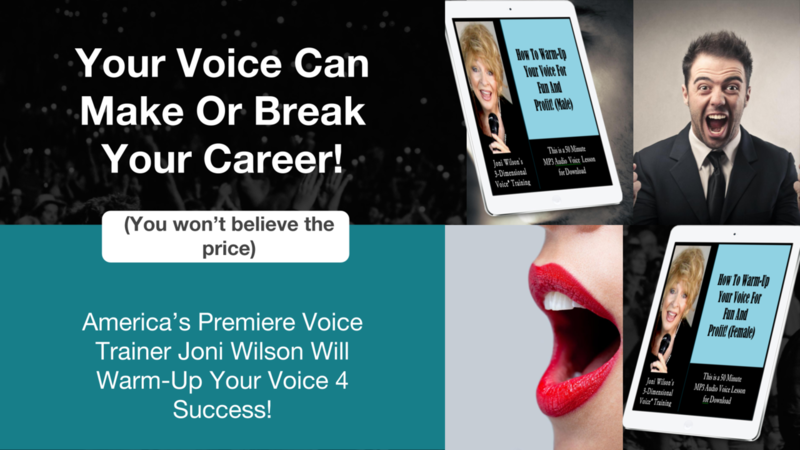 Joni Wilson is an internationally recognized voice expert, professional speaker, and best-selling author with over 20+ years experience-training both singing and speaking voices, including top executives and 2 American Idol finalists. She is the creator of the Joni Wilson 3-Dimensional Voice® Training System, a voice method that is changing the lives of business and entertainment professionals all over the world. Her first book, The 3-Dimensional Voice®, held the number one spot under Voice/Public Speaking on amazon.com for 6 months.